Summary: 80XXX Snippets March 1993. Assorted technical docs and code, collected by Uwe E. Schirm. a20_001.zip explains how to enable access to above DOS's limit of 640KB of memory. It goes through the steps you need to take to correctly read and write to the Keyboard Controller. Gate A20 controls access to the higher areas of memory, with it disabled, all writes will just be wrapped to the beginning of memory. So if you just want to get that extra bit of memory in Real-Mode, want to program in 'Real-Flat-Mode' or even full blown Protected-Mode you will need to know how to enable Gate A20. opcode, int help, key macros & reassignment, heuristic scan. ALIB 4.0 - Assembly language library with over 400 functions plus source. create a text file with the source including the correct addresses. COM2EXE and EXE2COM are very small (610 and 757 bytes). The source code is included. The program is for beginners to learn about the structures. Font Capture is a program that stays in memory and when pressing the hot-key the program will save the text-mode DOS font to file. It can be used to save fonts that you see on your screen to a known format. You can use the fonts with other program or just load the nice font to the screen. Also includes a few fonts. and Pascal. This is the first release. Dattohex is an assembly programming utility used to convert a binary file to a hexadecimal ASCII file that can be used directly as an "include" file in an assembly language program. The output of Dattohex is in the form recognized by assemblers. This allows you to imbed graphics or data into your executables. This is a clone of the DEBUG command present in MS-DOS. It was originally written for the FreeDOS project, but it may be useful to others as well. It is still incomplete (most notably, the expanded memory commands xa, etc. are missing), but the built-in assembler and disassembler support the full Pentium Pro instruction set, except for MMX instructions. manually. It reads every instruction I know up to the Pentium II. and some 3DNOW instructions are supported. DOS-based disassembler is also included in the package. Displays the initial register values for .COM and .EXE files, helpful for programmers wishing to know what DOS uses for default register values upon startup. Source code for use with A386 assembler is included. Dumpenv is a example on how to get access to the environment variables. This program just lists them. Freelib v3.0 is a library of 200 routines that may be useful for assembly language programming. Freelib includes routines that do many of the tasks that make assembly language difficult - like buffered file I/O, formatted string output, memory allocation, etc. Also includes 16.16bit fixed point arithmetic, text screen output (EGA 80x25 or VGA 90x34), and VGA graphics in both 16 and 256 colors. All routines are highly optimized for size and speed, and average only 60 bytes each. Full source code and documentation is included for all routines. Freelib is public domain software, free for non-commercial use. IDA stands for The Interactive DisAssembler. Unlike many other disassemblers, IDA works together with you, allowing you to modify the disassembled text 'on the fly'. It supports many processors, various input file formats, can produce various output files, etc. IDA has a built-in C-like language and sports TVision user interface. space in five files, but absolutely only only two files (55Kb on disk). accessible from both windowing menu and hot-keys. breakpoints on arbitrary interrupts. Extensive manual is included. Menu setup program allows easily changing Inspector's settings. Intexec.exe is a simple demonstration of how to execute an interrupt (Note: Real mode stuff only) by passing the interrupt no. along with the various input values for the processor registers as input parameters to a simple small assembly language routine. This situation arises because most assemblers do not allow a variable say X to be used with the "int" instruction. where X is a input parameter indicating the Interupt Number to a assembly routine which has the above "int" instruction. The program handles any interrupt (DOS/BIOS) and is currently tuned to work with 8086 assembly instructions. With slight modifications it should be possible to tune it for working with 80x86 assembly code also. Since the user is expected to be familiar with interrupts be cautious in the interrupt number you specify from the keyboard. In any case the user is responsible for the interrupts he/she executes, the input being either from the keyboard or file or some program. software developer some more feedback on his proceeding. Free software, uploaded by the author. advanced graphic user interface, and more. MASM converter converts the MASM v6.x Assembly Source Code (.ASM) to the format used by the older MASM v5.x assemblers. This allows you to assemble, after the conversion, the new source code with an older assembler (the author uses MASM v5.1). The new source code comes from such sources as a disk when you purchase an assembly related book, software distributors, etc. Now TASM users can code for MMx processors with TASM. Based on Intel's iammx.inc file, I managed to create a new set of macros using Ideal programming mode. I have also included an example on how to use them and how they are transparent. The example is MSDOS based and I did not include a pre-compiled version, instead, I included a makefile for easy creation. The example uses case-sensitivity compilation but the macros will work well without it. This is still a beta release. I expect to have some bugs even if I tested every instructions. 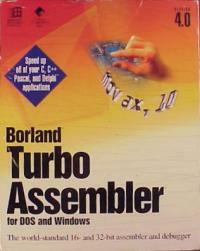 interesting and useful tool for hobbyist assembler programmers. NASM is an 80x86 assembler designed for portability and modularity. It supports a range of object file formats including Linux a.out and ELF, COFF, Microsoft 16-bit OBJ and Win32. It will also output plain binary files. Its syntax is designed to be simple and easy to understand, similar to Intel's but less complex. It supports Pentium, P6 and MMX opcodes, and has macro capability. It includes a disassembler as well. This program is example how to write very fast locally optimized code for 80x86. It is tested on some computers and have very good results don't contradiction with theoretical calculation. You can test this algorithms for performance in your PC by programs included to this package. This technique of optimizing can be used for many types of cycles. are compatible with plain DOS, Win31, Win9X and WinNT platforms. to data statements for use with dasm assembler. 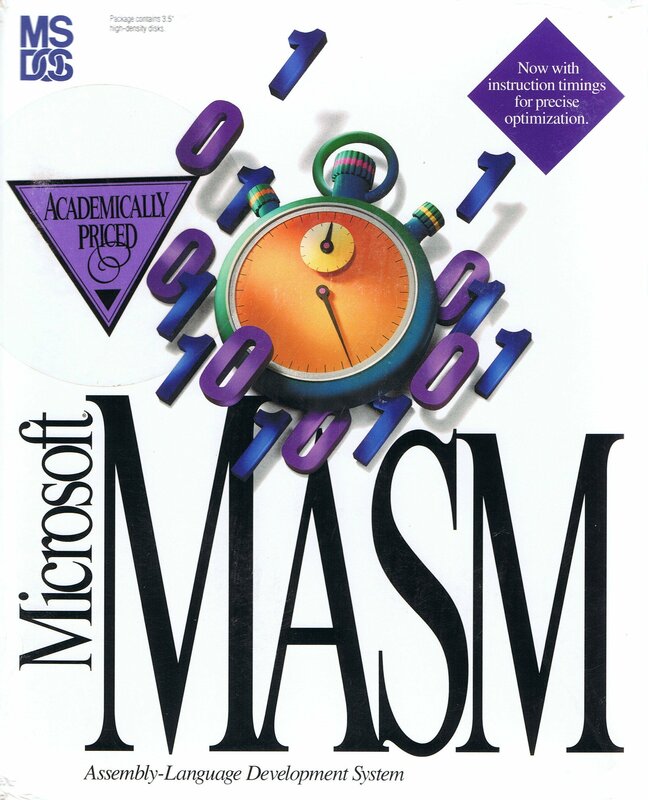 PMODE for NASM 0.21 - Protected Mode DOS extender with asm source. modules and then link them together using TLINK or some other linker. libs from the original PMODE 2.4 by Tran. Requires: MASM/TASM, LINK/TLINK, EXE2BIN or equivalent. ROT13DEV is a simple device driver that provides some information on how one might go about writing a device driver that actually has some redeeming value. An example of how to rotate a font, nothing more nothing less. Written in Borland Assembler. Full source code included. written as a demonstration program for the x86 Assembly Language FAQ. 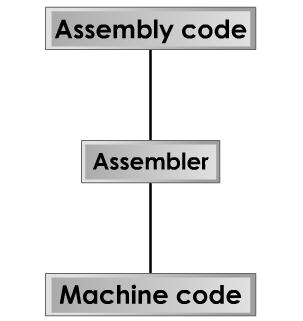 ASM Startup code allows you the programmer to start assembly language programs just as you would start C programs, that is with the main() procedure. The startup code sets up a standard executing environment and can provide the command line and environmental variables in the form of argc, *argv, and *envp just as in C. All code is provided for the startup code. Also included are the full source to demonstration programs to show how to use the startup code. All code is well documented and is written to be assembled in any memory model from tiny to huge. Both .exe and .com formats are supported. Also included are .lib files with all startup code and some general purpose ASM procedures. Source code templates for the main() and subprocedures is provided. Documentation is a 40 page manual in Adobe Acrobat format. This manual explains how to use the code, how the code works, how to write procedures that will assemble in any memory model, and many more assembly language programming tips. output may be redirected as usual.